First all-electric model from Polestar is coming soon. Polestar will show off its second production vehicle in a matter of weeks. 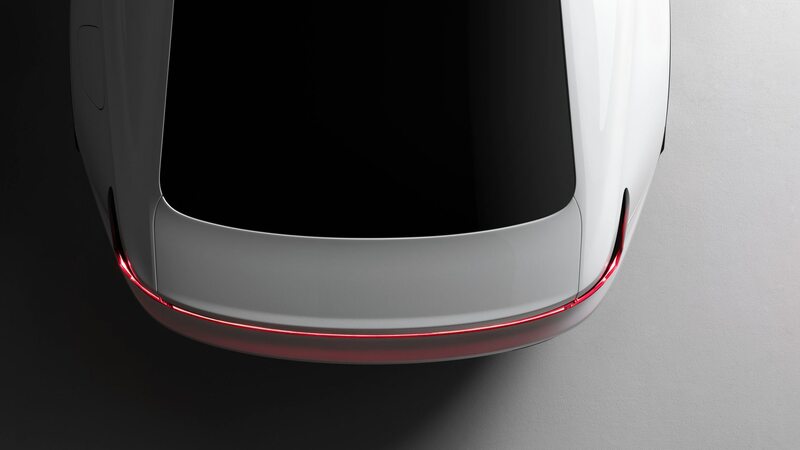 Ahead of the big unveiling, Polestar has shared with us a teaser image of what appears to be the sedan’s rear. Unlike the Polestar 1, the new model features a taillight bar that extends all the way across the rear. It looks like we can also expect to see a long, sloped glass roof on the four-door fastback. The model will be the brand’s first fully electric vehicle. Polestar lists a range of approximately 300 miles on a single charge, without going into any further detail. The vehicle will compete squarely against the Tesla Model 3, which can hit 310 miles when paired with the top battery. Power for the Polestar 2 is expected to top out at around 400 hp. Polestar says the model will enter production shortly after the Polestar 1 hybrid, which rolls off the line later this year. Pricing information hasn’t been announced, but Polestar says it will be in the same range as the Model 3. It will be available through a subscription service as well as through cash sale. The Polestar 2 will debut the new Google Android HMI. As we previously reported, Volvo is switching to an Android operating system for its next-gen infotainment interface, and the Polestar 2 is the first to use it. Drivers will have access to voice-controlled Google Maps, Google Play Store, Google Assistant, and countless other apps embedded into the Sensus infotainment system. After the launch of the midsize luxury sedan, Polestar will introduce an all-electric crossover that will sit on the second-generation SPA platform. A fourth Polestar model is expected after that, although details are fuzzy at this point. Polestar says it will reveal its second model “in the coming weeks,” so stay tuned.